How to make traditional recipes of Rajasthan Specially for winter season. India is a land of diversity, it has different people following different religion and culture, follow different ethnicity and traditions. Winter is a season to improve your immunity. During this time period, people feel hungrier and the body mechanism is more active and food digests easily. Here I am going to explore what is cooked in the desert-land of the country-RAJASTHAN. Rajasthan is especially famous for its Cuisine. So here are 5 famous and delicious traditional winter season recipes of Rajasthan with a unique taste. Grind the seedless Khajur in a mixer and make a proper paste. Take a pan add ghee in it and put it on low flame. One by one adds ready khajur paste, dry fruits and grated dry coconut in it. Keep stirring it for next ten minutes. After 10 minutes remove it from flame and allow to cool down. Once the mixture gets cool, make laddoos from it. Then put the ready laddoo’s in the dry coconut as in the laddoos get coated with grated dry coconut. Then garnish laddoos with pieces of half cut cashews. 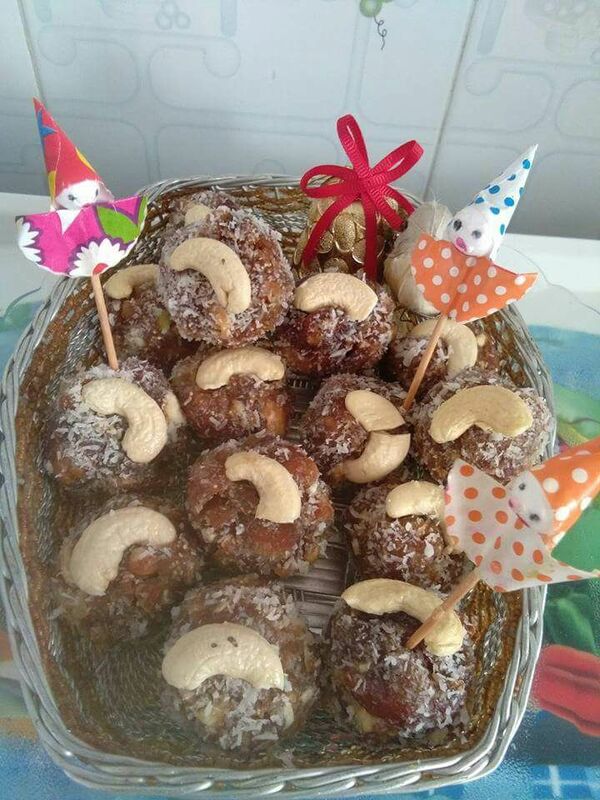 The yummy and healthy laddoos are ready to eat. Likewise, you can also make khajur-anjeer rolls with the same procedure. Take the ghee in a pan and keep it on low flame. When the ghee gets heated add the bajre the atta and keep it stirring continuously till it turns golden brown. Once it turns golden brown add the gund and allow it to pop up. The gund will pop up same as the popcorns. One all the gund pop-up. Add 1 and ½ glass water to it. And then add jiggery to it according to the sweetness you like and allow it to boil for few minutes while continuously stirring. Add a pinch of salt to it and is optional. And at last, add sunth and ajwain powder to it and the crushed dry fruits. A healthy dish for the winter season is ready to serve. If you don’t like or use Bajre ka atta, you can also use gehu ka atta. This is a very healthy recipe and helps in healing of bone problems as well as backache problems. Using all the ingredients of the dough, prepare a soft dough for baati, it should not be very hard and nor should be very soft. Keep the dough aside for 5mins. Now for stuffing mash the boiled potatoes and then add boiled peas to it. 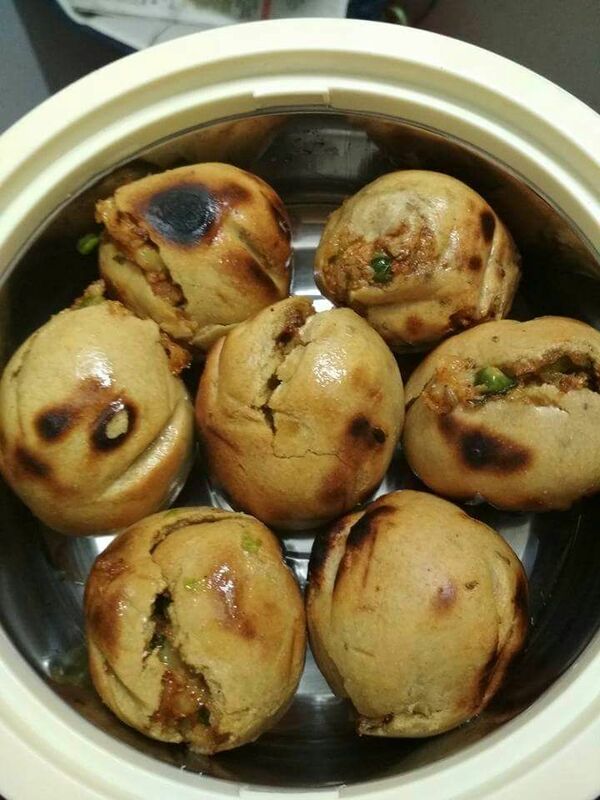 Now one by one keep adding all the ingredients of the stuffing to make chatpata baati stuffing. Now take a small part of the dough and make a ball from it and press it on the palm as in to fill the stuffing. Fill the stuffing only after the stuffing gets cool down. Fill the stuffing and cover the baati’s properly. Other side heats the baati tandoor for 5-10 with medium flame. Keep the baatis on it one by one. If you cannot roast the baati’s directly you can also use oven plate to roast the Baati’s. Keep the flame high till the tandoor cover is open and keep rotating the baati’s and after few minutes, lower the flame and put the tandoor lid on it and allow it to roast for next 5- 10 mins depending on the situation of the baati’s. after the baati’s are cooked add ghee to it, and serve hot. A healthy dish for the winter season. 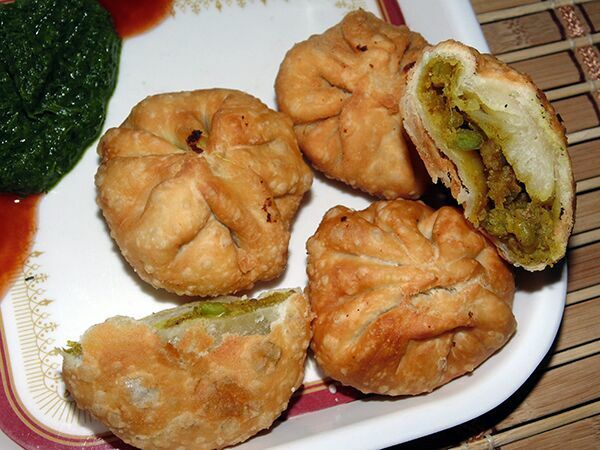 You can serve this baati’s with green chutney and can also have alone. You can also use stuffing of other vegetables or can use sweet stuffing also to make stuff Baati’s. It is a traditional Rajasthani kachori for winter season made with lilva’s which looks a bit similar to green peas but have a little different look than the peas. Lilva’s are especially available in winters. To prepare the dough mix well the flour, salt, ghee and water and knead a semi-soft dough and keep it aside. For the stuffing, firstly blend the lilva’s in a mixer grinder to make a paste a little coarse one. Heat oil in a pan and add hing, ginger garlic paste, add turmeric powder and sauté for a minute on medium flame. 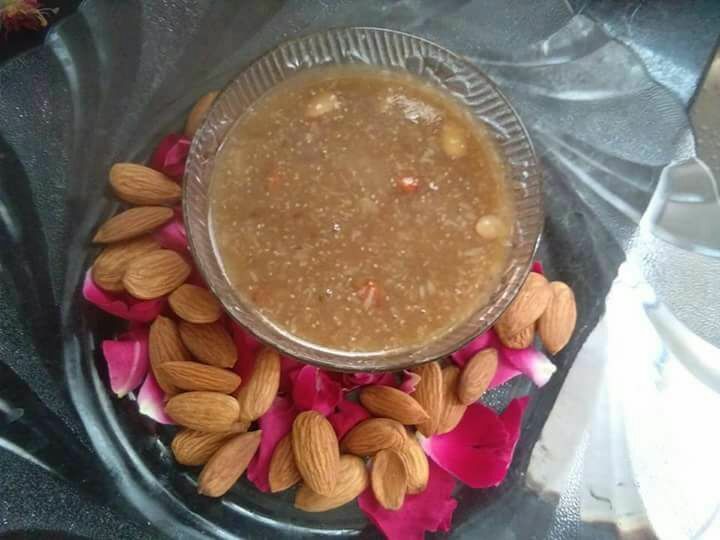 Then add the coarsely blended lilva’s mixture to it, mix it well and allow to cook it for 5-10 minutes on low flame, while stirring it continuously. Then add coriander leaves, lemon juice, sugar and salt and mix well and cook for next one for the minute. Keep the ready stuffing aside and allow it to cool. To make the kachori’s, take one part of the dough, roll it a little, take the flatten part in a palm and fill the stuffing, close the dough properly after filling the stuffing properly. Likewise, prepare all the kachori with the available dough. Heat the oil in a pan and deep fry the kachori’s 2- 3 at a time, till it turns golden brown. Repeat the same procedure for frying the remaining kachoris. Serve hot with green chutney. Likewise, you can also make potatoes, onion stuffing or green peas or moong dal stuffing kachori’s. Kachori’s are liked by almost all people and are also very tasty and one of the famous dish of Rajasthani Cuisine for winter season. Mix all the ingredients of pakora’s and prepare a mixture to make besan ke pakode. Heat oil in a pan and keep pouring a small portion of besan mixture to make pakora’s and allow it to fry on low flame till it turns a bit brown. Similarly, remove all the pakora’s and allow it to cool. Once they get cool down make small pieces of it and keep aside. Other side cooks the rice just by adding salt and ½ tsp of oil in water. Once the rice is cooked place them on an open plate and allow to cool down. On the other side keep the pan on the flame with oil in it. Add cloves, cumin and mustard seeds to it, then add curry leaves. Add the boiled green peas and ready besan pakora’s to it. Then add sugar, red chilli powder, turmeric powder, garam masala powder and salt. Keep it on low flame for 1-2mins and then add the cooked rice to this mixture and mix well. Garnish it with coriander leaves. The delicious dish is ready to serve hotly preferable in the winter season. 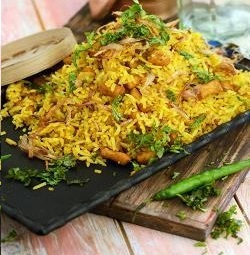 Likewise, you can also make gatte ka pulav. Gatte’s are also made of besan and are just boiled not fried like pakora’s. This is also one of the traditional recipes of Rajasthan for the winter season. If you really want to taste Rajasthani food then you must read this. Absolutely loved this post. It had me salivating in no time. Not much of a cook myself, but definitely want to try making khajoor coconut ladoo.